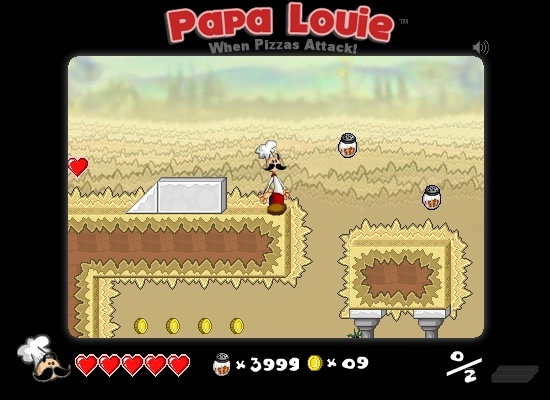 Adventure Action Platformer Click to find more games like this. 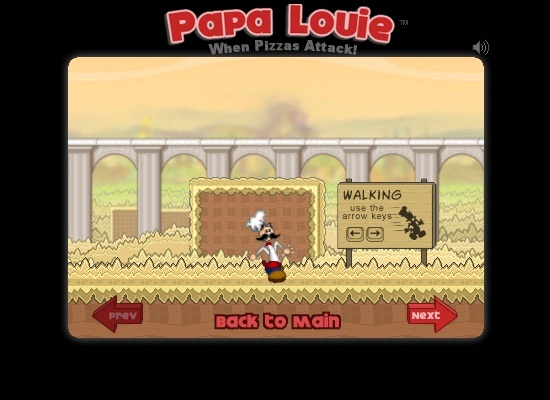 The pizzas have kidnapped your employees. 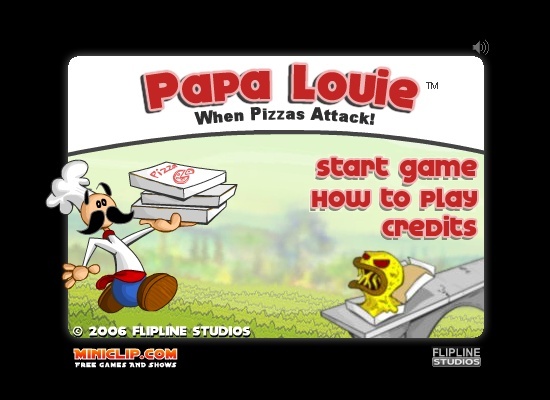 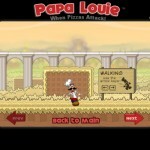 Rescue them with Papa Louie. 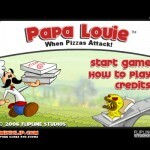 Slap them with your cutting board.